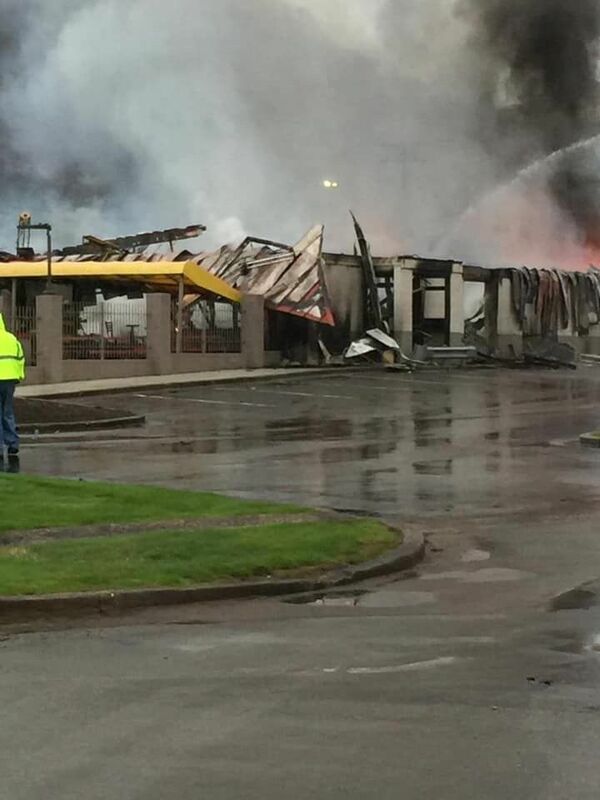 The owner/operator of McDonald's of Manchester issued a statement Sunday following a fire that completely destroyed the restaurant. "This morning our restaurant on Muddy Gap Road in Manchester caught fire just before 5 a.m. The restaurant was closed at the time, and no customers were in the restaurant. Our employees who discovered the fire safely exited the restaurant and were not injured. We would like to thank our employees for their quick action to ensure the safety of each other, and the firefighters who worked hard to control the situation. The location will be closed for the next several weeks. Our employees will be relocated to our other restaurants. We encourage our patrons to visit our other locations nearby," said Gist Heinrich, owner-operator of the restaurant. According to sheriff's deputy Brandon Edwards, he, along with a city policeman, saw smoke coming from the restaurant around 5:45 a.m. They entered the building and attempted to put the grease fire out to no avail. Fire departments from Manchester, Lockard's Creek, Fogertown, Gray Fork and Horse Creek responded as well as departments from Laurel County. Photos courtesy of various social media posts.